Check here often to see our new products! Fastbind PUREVA XT is the first and only economical PUR/EVA Perfect Binder for Hard and Soft Cover Book Binding. Fastbind PUREVA XT makes it possible for anyone to take advantage of the PUR quality with a remarkably low investment and cost. 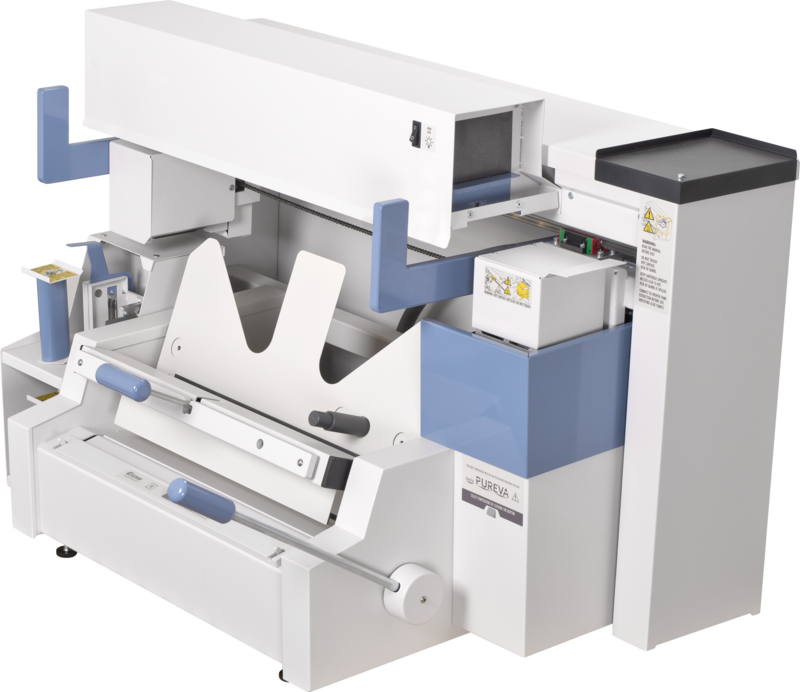 The ability to use one machine for all of your perfect binding needs is unrivaled. Thanks to its integrated casing-in system, PUREVA XT produces both soft and hard cover books for a more versatile product range. It also introduces a new interchangeable glue cartridge for easy PUR to EVA changes, a new PGO Microcut roughener and a new Fastbind Contact Roller that presses the glue into the paper grain. PUREVA XT is especially designed for digitally printed hard or soft cover book production in small series. Double the value of your bindings with a Fastbind Case Maker for customized hard covers and cases!